We love Butterfly Soup over here. We held it up as one of our favorite free games of last year, and I certainly haven't cooled on the game over time. I got the opportunity to meet the game's creator, Brianna at GDC this year after she was nominated for the Best Narrative award. Luckily for us, she was willing to be interviewed, and we spent the intervening weeks talking. The following is the result of that conversation. Let’s start with an introduction: Who are you and what is Butterfly Soup? I'm Brianna, a game writer and designer who likes making niche games. 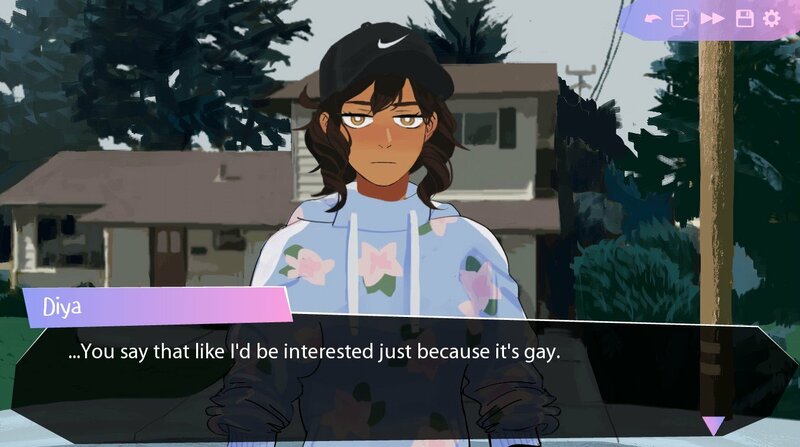 Butterfly Soup is a visual novel I made about a group of Asian American teenagers falling in love with baseball and each other. You play through the perspective of four high schoolers, each of whom struggle with not being what their parents/society want them to be. How has the reception been to Butterfly Soup? I knew some people would like it and make fanart of it, but I was completely blown away by the press attention and support it got in the games community. The message of the game resonated with players more deeply than I expected. I frequently see people say they've replayed the game multiple times even though it's only been out for a few months, and it's both flattering and sad. I'm happy that they like it enough to replay it immediately, but I wish there were other games they could play that would scratch the same itch. It makes me feel like I've got to hurry up and make more games like it to fill the void in its genre. Also, every once in a while I do see some backlash from losers calling it an SJW game, and it fills me with joy. I enjoy making people I dislike miserable. Which of the baseball kids is your favorite? Are you allowed to pick a favorite kid? I love all of them, but it's definitely Diya. I relate a lot to her social anxiety and she's fun to draw. What made you want to make Butterfly Soup? Growing up, there weren't a lot of teen dramas or coming-of-age stories that dealt with the problems I faced as an Asian-American. The few things that did star Asian-Americans were usually really...I don't know how to put it, but one-noted? For example, if the author was Chinese-American, all the important characters would either be Chinese or white. I grew up surrounded by other East Asian and South Asian kids who were suffering just as much as I was, and we found solace in that. So I really wanted to make a game that reflected that in a way my teenage self would've like to see. 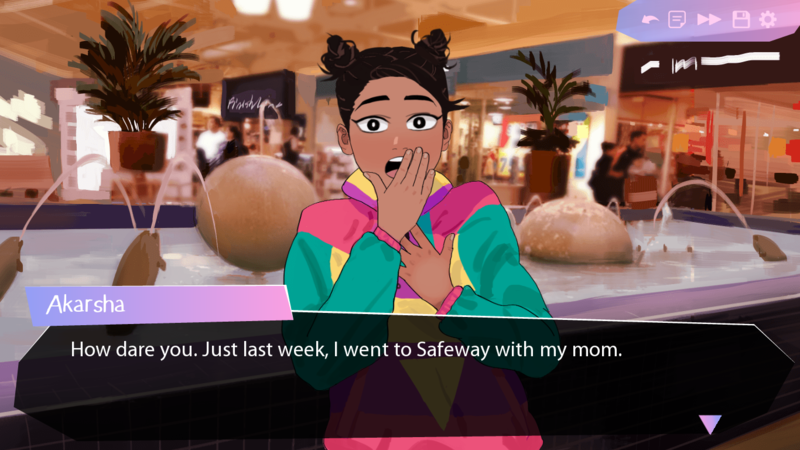 How was Butterfly Soup influenced by other works, and what do you hope other devs learn from your success? I'm a big fan of sports anime like Oofuri, Free!, and Haikyuu, and I tried to design the character dynamics in Butterfly Soup to be just as interesting as the ones in those series. The original Ace Attorney trilogy is my favorite visual novel series, so I basically modeled the game's look and feel off of it. For example, the format I used for thoughts in dialogue is the same, and I imitated Ace Attorney's screenshake at dramatic moments. Another big influence was the UK teen drama Skins. Each episode was from a different high schooler's point of view, and I was inspired to use a similar format for Butterfly Soup. I hope other devs see from my success that you can make games about very specific things rather than trying to appeal to everyone. Instead of aiming to make a game that everyone thinks is good, devs should aim to make a game that 90% of players are indifferent to but 10% of players love to the point that they won't shut up about it and constantly advertise it to all their friends! Make a game someone would kill a man to play! Absolutely love Butterfly Soup! I'd love to read more of these creators interviews! Love the game and love this interview!